You are at:Home»Healthy Eating»Superfoods»What is Spirulina ? Spirulina is arguably one of the oldest lifeforms on earth and is the microalgae partly responsible for manufacturing the oxygen you are breathing right now. This makes Spirulina the world’s first superfood, and it’s also one of the most nutrient-rich foods on Earth. Spirulina is a blue-green algae found in warm, freshwater lakes and is what gives these lakes their distinctive green-blue appearance. As well as occurring naturally, spirulina is also grown and cultivated in manmade lakes. Learn more about superfoods with My Superfoods – My superfood guide ! High in protein and amino acids – by weight, spirulina contains more protein than any animal proteins including chicken, fish, and eggs. Instant energy boost – despite being very low in calories and caffeine-free, spirulina provides an instant energy boost without being a stimulant. Improved immune system function – spirulina will boost the speed and efficiency of your immune system so you suffer fewer illnesses such as colds and flu. You’ll also recover faster if you do fall ill.
Natural detoxification – this superfood will speed up the removal of toxic waste products from your cells and organs which will help promote better health of the entire organism. Improved blood flow and oxygenation – spirulina boost blood flow to your brain and other vital organs and increases oxygen production which will help with everything from circulation to concentration and focus. Anti-inflammatory – inflammation is redness and swelling which, when it occurs internally, is a major cause of many diseases. Spirulina is naturally anti-inflammatory which can help prevent and alleviate many serious diseases. Improved digestive health – the healthier your digestive system, the healthier your body will be. Spirulina is known for its ability to boost digestive health and reduce symptoms like bloating and gas. Vegetarian approved – spirulina is approved by the vegan and vegetarian societies and perfect for anyone on a meat-free diet. Spirulina may also help with weight loss. An unhealthy digestive system can often lead to craving sugar and carbs, both of which can cause weight gain. Eliminating these cravings makes sticking to a weight loss diet much easier. By improving digestive health, your body is also better able to make use of the nutrients you eat and use them for fuel. If your digestive system is unhealthy, you are more likely to convert unwanted food into body fat which will lead to weight gain. Spirulina is also a safe appetite suppressant so you are less likely to overeat. 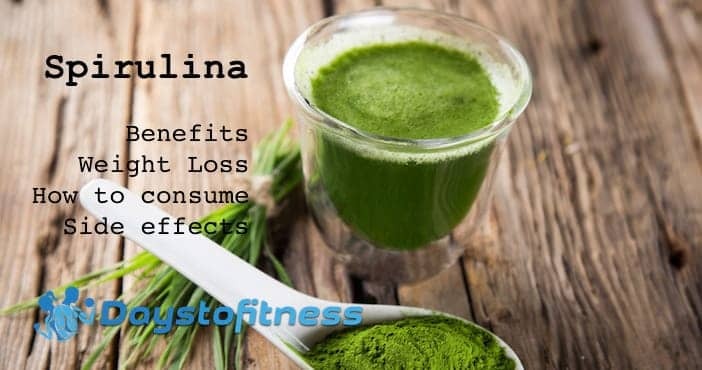 Combined with the fact that it is very low in calories despite being loaded with important nutrients, spirulina can be very helpful with weight loss. How do you consume spirulina? Spirulina is available in pressed tablets, capsules and loose powder form. The tablets and capsules are easy to take – just swallow with water. 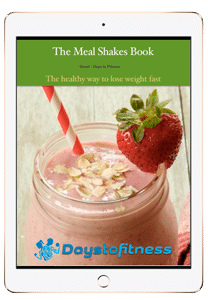 The powder can be added to a smoothie or shake, mixed with juice or added to plain water – if you can stomach the taste that is! Spirulina is also a common ingredient in superfood powders. Being a form of pond life, you won’t be surprised to read that spirulina tastes a lot like drinking pond water and it’s not to everyone’s taste. If flavor is an issue for you, I suggest spirulina tablets and capsules. However, if you are going to mix spirulina with juice or a smoothie, you should find the taste is much more tolerable and you’ll soon get used to it anyway. I’ve tried drinking it with plain water but I cannot do it! Some of my friends can do it fine but it just makes me gag so I mix my spirulina with smoothies or fruit juice. Spirulina is the original superfood and is deemed safe for just about everyone. Initially, you may experience a little gas and bloating but this is easily avoided by only using small amounts until you are used to it or using it on alternating days for a week or two. Spirulina does contain iodine so if you have any allergies to this substance, you should avoid spirulina. Check this high quality Spirulina Powder available at Amazon.com. Spirulina is nature’s original superfood and is arguably the most complete source of nutrition in the world. It’s a very worthy addition to your diet and if you only ever consume one superfood, spirulina would be an excellent choice. Or you could add a scoop of superfood powder, containing not only spirulina but a complete selection of superfoods. 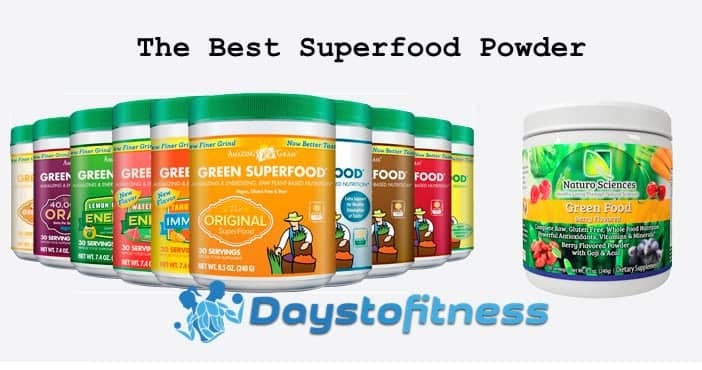 Check my recent article “Best Superfood Powder“. Previous ArticleWhat is Stevia and Is It Good for You ?